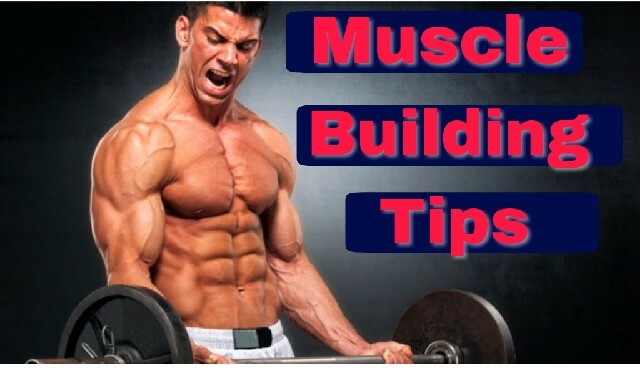 When most hard gainers and ectomorphs decide that they want to put on weight, they’re looking for muscle building tips. After all, even the skinniest guy who would love nothing more than to see a few extra pounds on the scale realizes that the key to putting on weight and looking good while you do it is to build muscle and limit fat as much as possible. Lots of guys go through the motions of lifting weights three times a week and eating lots of food but they don’t see results and they end up getting discouraged. In some cases, just a few muscle building tips are all you need to push you over the edge and start seeing results. Here are a few tips to boost your muscle building attempts and make sure you’re getting the most out of both your nutrition and your workouts. Without exercise, your body simply won’t build muscle. You need to perform strength training exercises to signal to your body that your muscles need to grow, and the best way to do that is through weightlifting. But what routines or exercises should you focus on? There are plenty of fancy machines that will work the most obscure muscles in your body, but the basis of any workout plan should be the big three compound lifts: the bench press, squat, and deadlift. These tried-and-true lifts have been performed by every serious bodybuilder for a reason. They engage an incredible number of muscle fibers with each rep, working out large sections of your body. Such compound lifts improve your balance while providing a good benchmark for your progress. While you’re in the gym, be sure to separate your weightlifting days from your cardio days. Cardio is an important part of one’s overall health but don’t let it impact your lifting. If your primary goal is to gain weight, be sure that your primary exercise involves weights. You may want to include cardio on the days when you’re not lifting weights, but going for a run on the treadmill right before lifting will negatively impact your lifting capabilities. You should also refrain from overtraining your muscles. Lifting weights three days a week is plenty enough to keep your muscles in a constant state of growth. If you lift any more than that, you won’t be giving your muscles a chance to repair themselves and grow. Sometimes in weightlifting, less truly is more. One of the most important aspects of weightlifting and nutrition that new hard gainers neglect is post-workout nutrition. Lifting weights put a huge physical toll on your body and sap you of energy. You need to replace that energy as soon as possible so that your muscles can repair themselves and grow. Always eat a meal within an hour of your weightlifting workout. Most lifters drink a mixture of whey protein powder along with some carbohydrates to increase insulin levels and get the protein to the muscles faster. Try blending a shake made with water, protein powder, and a cut-up banana for a quick, energy-restoring meal right after your workouts.